CNBC has reported that former Goldman Sachs CEO and former NJ Governor Jon Corzine has joined MF Global (MF) as its CEO and Chairman. MF Global is a world leader in execution and clearing services for exchange-traded and over-the-counter derivative products as well as for non-derivative foreign exchange, equities, and fixed-income products in the cash market. We offer customised solutions in the global cash and derivatives markets to a wide range of clients that includes financial institutions, corporations, hedge funds and other asset managers as well as professional traders and private/retail clients. MF Global operates in 14 countries on more than 70 exchanges, providing access to some of the largest financial markets in the world; we are the leader by volume on many of these markets. Through delivering access across multiple markets and geographic regions, along with a breadth of product offerings and extensive product knowledge, MF Global’s focus is on helping clients define and execute their trading and hedging strategies and capitalise on market opportunities. 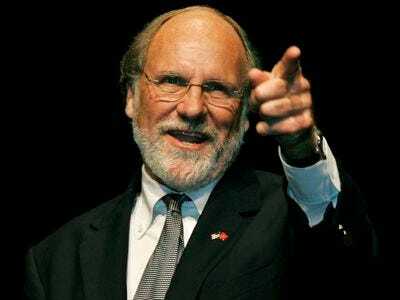 Corzine was also named as a partner of JC Flowers, a private equity firm. MF Global’s stock is up 15% in after hours trading, which seems a little nuts but, we suppose, that Corzine’s personal capital and political connections are worth a lot.